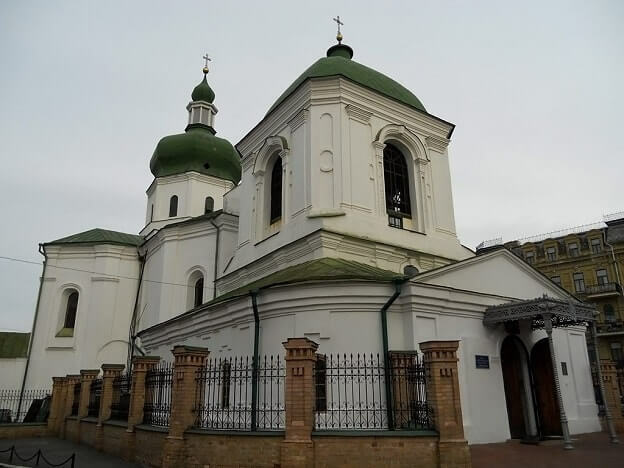 Excursion around Podil is conducted by our guides around the old part of Kiev. In the times of Kyivan Rus princes and nobles settled in the Upper City, and in the Lower City (Podil) lived peasants and artisans. The oldest place is considered to be Vozdvyzhenska Street, on which in the VI century lived and did not grind potters, tars and kozhemyaki (tanners in English). Now on this street there are elite houses in Kyiv. Fairs were held on the Kontraktova Square, and later the Magistrate was located here. The fire in 1811 destroyed almost all the wooden buildings. Among the stone buildings remained the Contracts House (1817), Hostynnyi Dvir (1809), Kyiv-Mohyla Academy (XVII century). The Post Square historians consider one of the oldest squares of Ancient Kyiv, where berths were located and arranged a market. Subsequently, the Post Station (1669) and the river station (1897) were built here. To the present days, these objects have been preserved with some modifications. 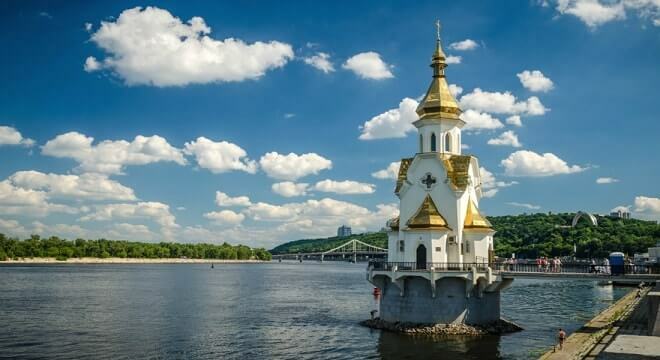 In warm days, from the Post embankment, motor ships cruise, where you can be offered an interesting excursion around Podil along the picturesque banks of the Dnipro. Walking along the embankment, you will see the column of Magdeburg law and the Pedestrian bridge. On the other side is Trukhaniv Island, where you can eat and drink deliciously, enjoying a beautiful view of the Dnipro. 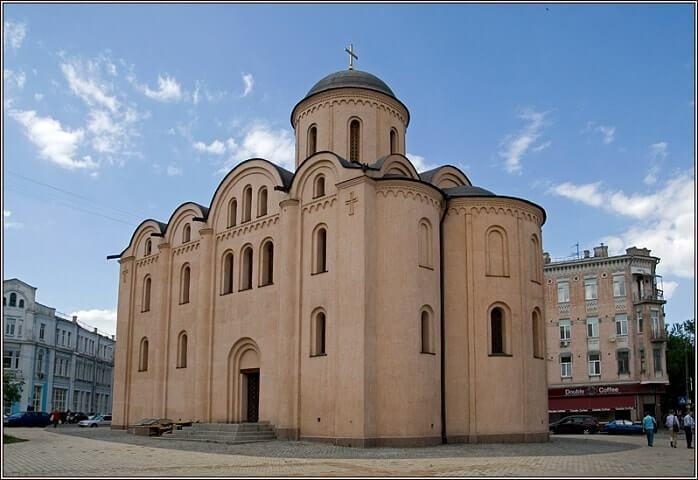 A lot of attention deserves churches of Podil. The most significant of them locates on our route. 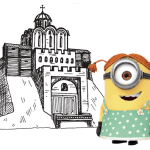 If you want, you can arrange a car inspection of all the main Podil churches. 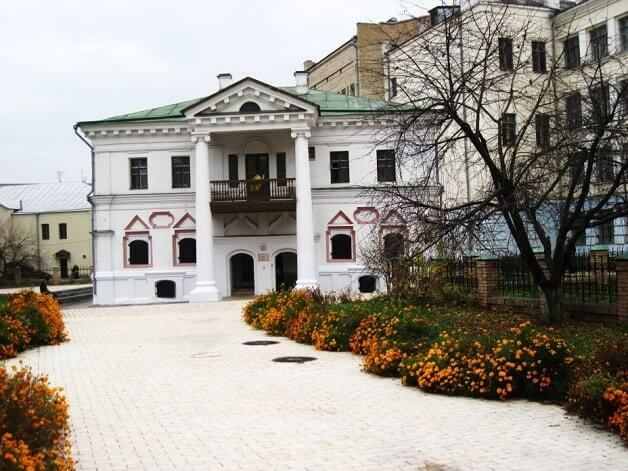 Hetman Museum harmoniously fits into the excursions around Podil, where you will get acquainted with such personalities as Ivan Mazepa, Bogdan Khmelnytsky and others. Post Square and the embankment is a link between the Upper Town, Pechersk and Podol. At this place there were the quays of ancient Kiev, whose place was later occupied by the River Station. The area of the square began to be occupied in the IVth century. It was called Khreshchatik (after the name of its origin) in the XVIIth – the first half of the XIXth century. 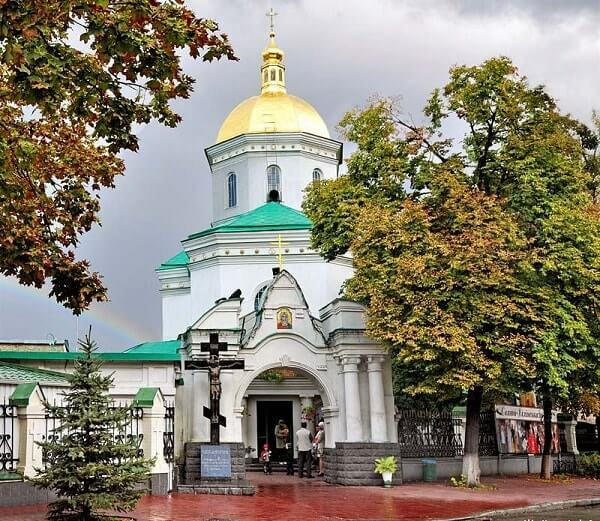 Historians believe that this is one of the oldest squares of the city, founded back in the days of the founding of Kievan Rus andit was one of the Kiev markets. The modern name is associated with the Postal Station, built here in the 50’s of the XIXth century. Initially, Pochtovaya Square was given one of the main roles. It was to become the most important transport road with a multi-level interchange to unload the highway in the direction of the Podolsk-Resurrection Bridge. There have been no capital buildings from the side of the Dnieper for a long time. There were landing jetties of docks near the shore and there were folded forest, bags and other cargo next to it on the ground. At first, only cabmen and horse-drawn carriages arrived on the square at the entrance to Podol. In the 1890’s. the rails of the first Kiev tram lay on the Vladimirsky descent here. An important page in the history of Pochtovaya Square was the construction of a new River Station, ended in 1961. At that time, river transport was not only entertaining and walking, but also a highly sought-after means of transport – both intraurban and intercity. The pedestrian bridge was erected in 1957, it was called the Openwork bridge during the Soviet era. Even then, the authorities assumed that Trukhanov Island would become a favorite holiday destination for many Kievites, but there were those who were skeptical about this venture. Hydrotechnists did not believe that the bridge would be erected, and made a bet with A. Zavarov the architect. He won a bet and got a prize – a box of champagne, right at the opening ceremony. Reconstruction of the bridge was completed in 2012, when the active preparation for Euro-2012 was conducted. 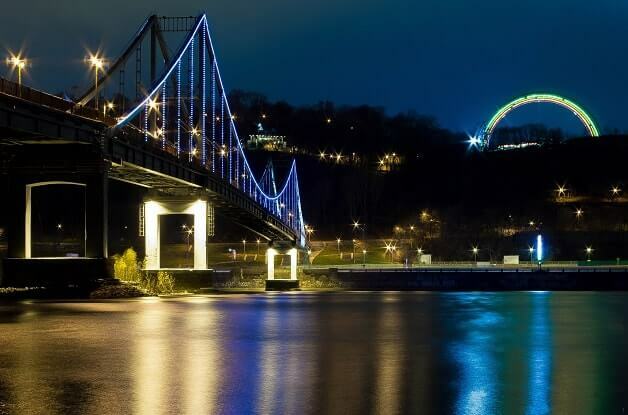 The length of the bridge stretches to 439 m. The height above the Dnieper is 26 m. This is a wonderful place from which you can admire the city from different angles. Vozdvizhenskaya Str. is a picturesque corner of modern Kiev, which once was called the Gonchary-Kozhemyaki Tract. The history of Nikita Kozhemyaka the literary hero is connected with this street. According to the legend, he saved the inhabitants of Kiev from the snake. In ancient times, a port and a huge market was represented here, potters and tarriers settled here. 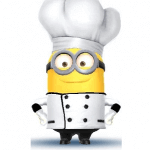 Later, the merchant class was firmly established in this area. Today Vozdvizhenka reminds the Emerald City in the Dutch style from a fairy tale, because of its colorful houses, pointed turrets, shops, cozy cafes, modern galleries. 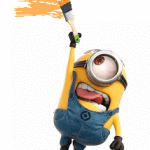 That is why, this place has become a favorite place for making movies, programs and TV shows. The railway station is the main river station of the capital. Since ancient times Podol was the shopping center of Kiev. In the XIX century the ship began to walk actively on the Dnieper river and many piers stretched along Podol along the river. Only in the middle of the XIXth century a marina with a length of 1770 m was built here. The lower part of this pier was received by passenger ships. In 1897 a river port was built. In 1899 the Harbor was officially opened with a berth line at 3156 m. It became one of the largest river harbors in Europe. Most of the cargo was delivered by barges here. There were dining rooms, teahouses, restaurants and low-budget hotels along the harbor, the pier and the nearby streets. In 1953 the construction of a new river station building was started and it was completed almost 10 years later. 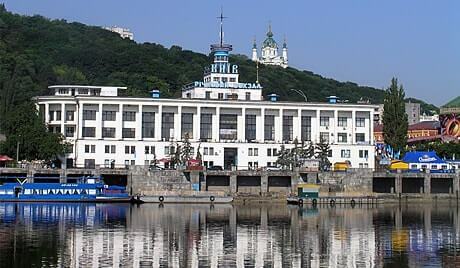 The grand opening of the new river station in Kiev took place in 1961. The very structure of the river station was a highlight of Soviet architecture – except for the bizarre shape, the walls of the station were lined with Inkerman limestone, the “masts and sails” of the station were partially covered with gold. Today, the river station resembles a giant white ship. Kontraktovaya Square is the central square of the Lower city, the main bargain of ancient Kiev was located on the site of it. Since the XIIIth century the market is represented on the site of the modern Kontraktovaya Square, but according to the decree of Paul the Russian Emperor in Kiev, annual contract fairs begin to take place at the end of the XVIIIth century, hence the name of the square. In 1494 Kiev got the right to have a city government, and then the area turns into an administrative center. There is the Magistrate (it has not survived until now) and the square aquires the named of Magistratskaya. The well-fountain called Samson was built in 1748–1749. The main building of the Kontraktovaya Square is Gostiny Dvor (under reconstruction). The building, built in 1809, served as a shopping center here, even in the XIX century. There were more than 50 stores. 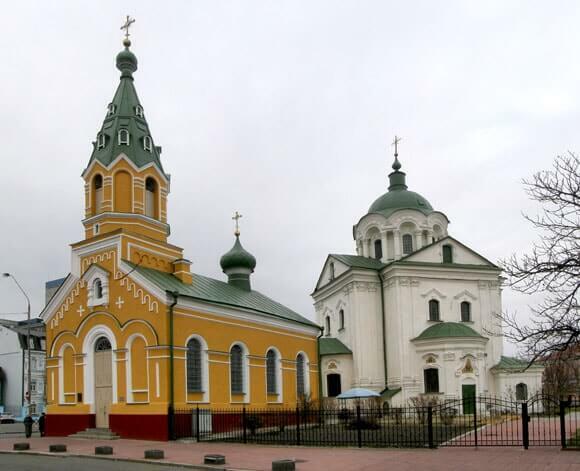 The Kontraktovyi Dom (built in 1817) is located next to it is. The landlords and noblemen gathered here, commercial deals were concluded, ballets from Madrid and Warsaw, writers Pushkin and Balzac came here with tours. The Church of the Assumption of the Virgin Pirogoscha (Kontraktova Square No. 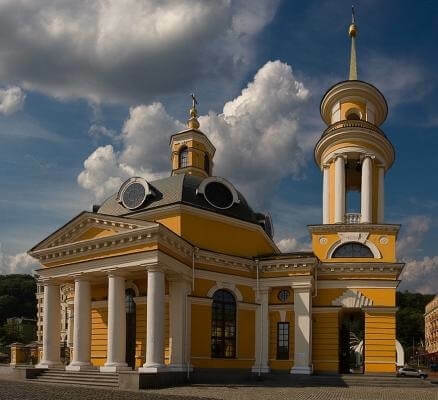 1) is considered to be one of the most ancient shrines in Kiev. Its interior decoration is described in “The Lay of Igor’s Host”, the walls are decorated with frescoes, the floor – with mosaic slabs. The temple was built in 1132–1136 by Mstislav and Yaropolk the Princes, the sons of Vladimir Monomakh. Hetman Museum was opened in 1993 and deals with one of the most interesting landmarks in the history of Ukraine – the era of Hetman power. There are more than 6000 exhibits associated with the management of the hetmans. The permanent exhibition includes 4 rooms dedicated to Ivan Mazepa, Bogdan Khmelnitsky, Pilip Orlik and Pavel Skoropadsky. The most important exhibits of the museum are part of the hetman’s club of the 13th century, the family emblem of Khmelnitsky, personal things of Pavel Skoropadsky, etc. The house of the end of the 17th century, survived after the fire of Kiev Podol in 1811, is one of the oldest civil buildings in Kiev. Traditionally, the Kievans call it the hetman’s name, although there is no reliable information that Mazepa lived here. 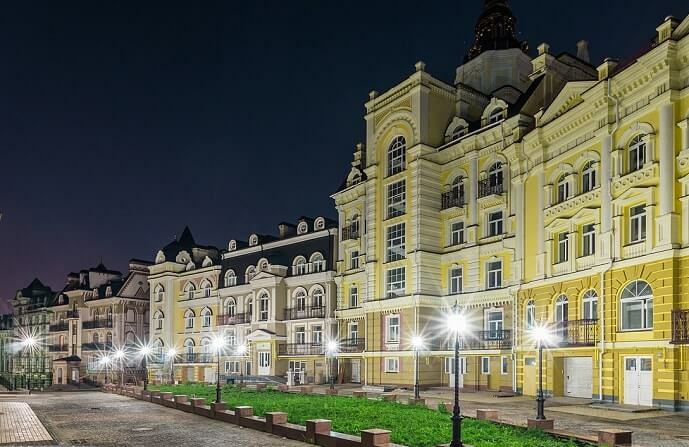 Kyiv-Mohyla Academy is the first higher educational institution in Ukraine, founded in the 17th century and became the first Orthodox higher education institution in Europe. 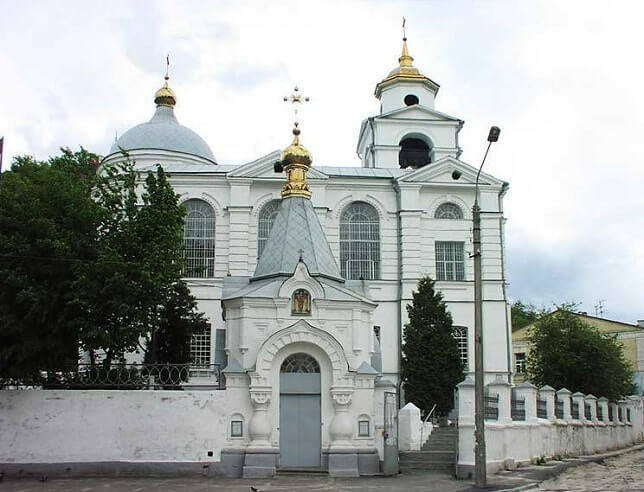 Initially, in 1615, the Kyiv Brotherhood appeared and in 1631 the school of the Kiev-Pechersk Lavra, united with each other, formed the Kiev-Brotherhood College, which became the Kiev-Mohyla Academy in the end of the 1680s. 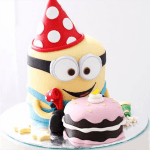 It acquired its name after Peter the Grave the founder and patron of the patron saints. People from different backgrounds came here, they are nobles, cossacks, clergy, petty bourgeoisie, peasants, as well as metropolitans and Ukrainian hetmans (Ivan Mazepa, Pilipp Orlik, Pavel Polubotok, Pyotr Doroshenko, Ivan Skoropadskyi and others). The follosing great people studies science here: M. Lomonosov and G. Skovoroda. 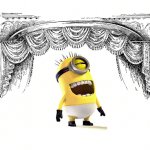 In 1817 the academy was closed. In 1819, the Kiev Theological Seminary was re-opened, and then the Academy. In Soviet times, a naval political school was located on its territory. 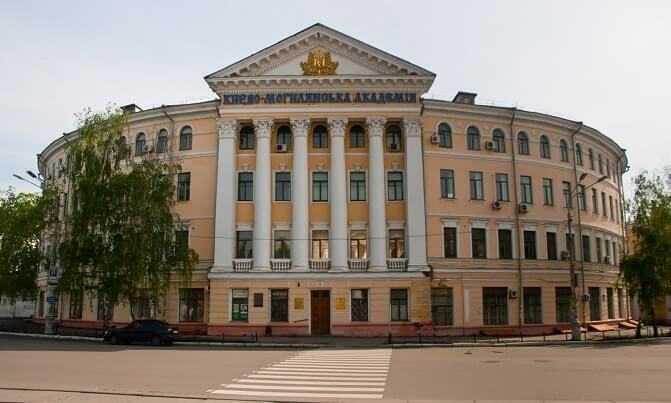 And only in 1992 there was an official opening of the University “Kiev-Mohyla Academy” – the beginning of the revival. 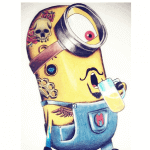 Today it is one of the most popular universities.